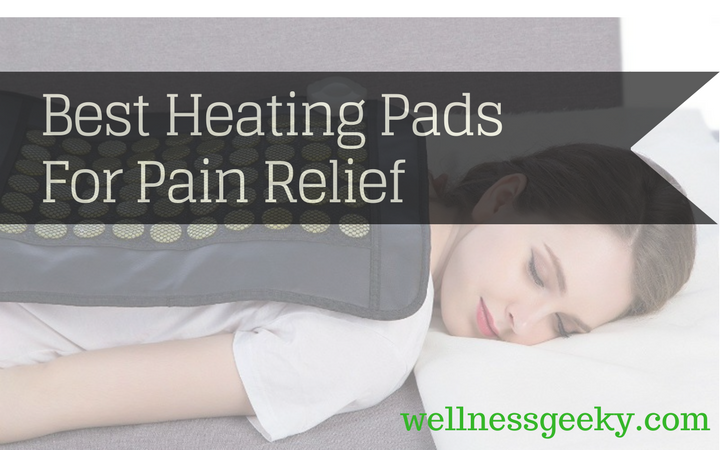 You are here: Home / Massage / What’s The Best Heating Pad For Back, Neck & Shoulder Pain? Research studies have shown that heat is an effective treatment for all-over body pain. It works well for cramps, muscle, joint pain, and soreness. Heat also increases blood flow and circulation, which aids in speeding recovery. When you need to target a specific area, from a tiny spot on your leg or shoulder to a large area of your back or neck, heating pads can be lifesavers. They're portable, affordable, range in size from small to large, and are easy to use just about anywhere. Here are some of the best models and when to use each one. 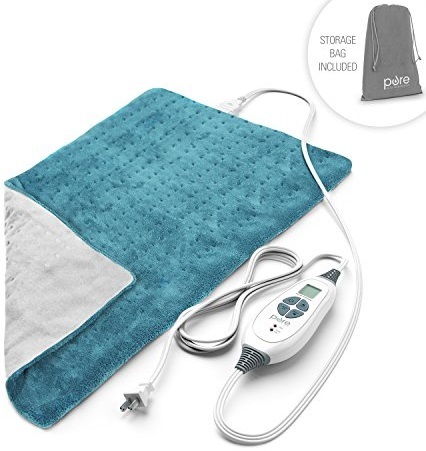 If you need full body coverage, this is an excellent electric heating pad. It measures 12 inches by 24 inches, making it one of the biggest sizes available. It's highly effective for large groups of muscles like lower back and shoulders or wrapping completely around arms and neck. It heats up very quickly, in just a few seconds, and has six different temperature settings to choose from. The micro plush fabric is incredibly soft and feels great against the skin. PureRelief XL also has the option of moist heat, so you can add it to relieve tight muscle knots, or opt for the dry heat option. It's effective for treating arthritis pain, stiffness, and achy muscles. It has an automatic shut-off feature, so it turns off after two hours. It comes with a standout warranty, offering five years of protection. You can toss it into the washing machine, and it has a nine-foot cord. 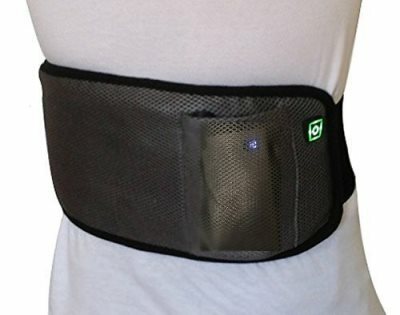 It comes with a nice bag for storage, and at just under 35 dollars, this is our pick for the best heating pad for back pain. Another great option for large areas, you can go from zero to relief in 30 seconds with the Sunbeam Xpressheat. It's made of super soft fabric and combined with the quick heat; it's a highly effective heating pad for menstrual cramps, which has been recommended by doctors and researchers. With similar features to that of the PureRelief king size, it has six heat options, and you can also add moist heat for deep penetration into sore and tired muscles. It has an LCD display on the control unit, so it's easy to read. It's great for tight muscles, relaxation, and increasing circulation. It has an automatic shut off safety feature and a five-year warranty. You can choose from green, burgundy, or emerald green. If you like a more traditional model, this is a solid choice for pure pain relief. There are three different heat settings, and you can use it to treat tight or stiff muscles and joints, cramps, and overall body pain and aches. It promotes relaxation and blood flow, increasing circulation and oxygen in the blood. So, if you are wound up from a hard day at the office, or just need some "you" time, 30 minutes will refresh and rejuvenate you. It has a nine-foot cord, making it easy to use in any room of the house, and if you need a one with a constant running option, this one fits the bill. Sunbeam 732-500 has no automatic shutoff. There's a sponge you can use with it for moist heat. Thermophore has a large and loyal fan base for a good reason. They are made well, last for years, and heat quickly. They're simple to use and straightforward, designed for quick, high heat to treat sore and tight muscles, cramps, and painful joints. 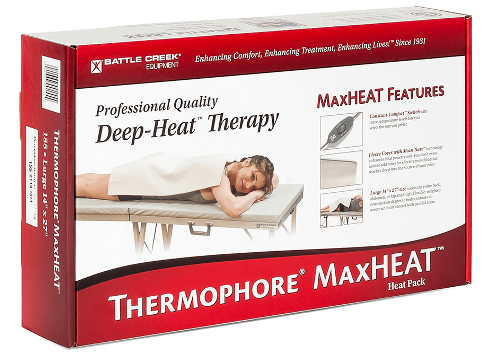 At 14 by 27 inches, the MaxHeat Deep-Heat Therapy is extra large and can reach from knees to hips, no problem. You can use it for either dry or moist heat, and its excellent high heat feature is good for post-pregnancy pain relief. It has an automatic shutoff for safety. This takes the number one spot for hottest models and best heating pad for neck. 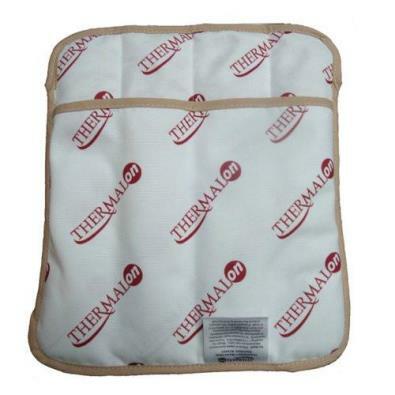 If you're looking for one of the best moist heating pads out there, you won't have to look further than the Thermalon. It's nine by 12 inches, and great for hips, shoulders, knees, low back, and abdomen. We love that you just place it in the microwave for a couple of minutes, and you're done. Fully cordless, portable, and easy to use, there's no need to be near an outlet or fuss with sponges or water. You can heat it up and take it on a road trip, into the living room to relax with a movie, or to relieve neck pain or back strain at the office. It's easy to adjust, so whether you like soft heat or high heat, you can adjust yourself with more or less time in the microwave, and it does a great job of holding the heat. 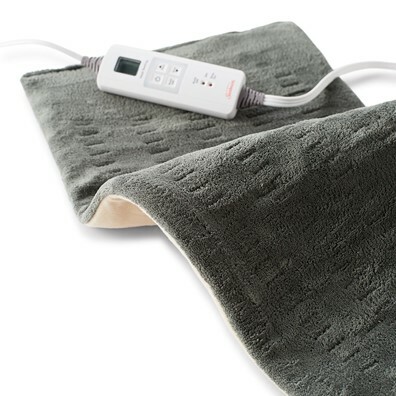 This is a flexible device with deep penetrating infrared heat, which has been proven in clinical studies to be highly effective in relieving lower back pain. It wraps easily around arms, hips, legs, waist, knees, and feet, making this an excellent option for extremely tight and sore muscles, large or small. UTK Far utilizes natural jade, negative ions, and far-infrared technology for long lasting, high heat. You can change the temperature and set the timer via the smart hand controller. It shuts off automatically and has a memory feature. 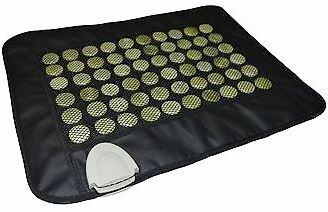 We love the battery operated, rechargeable feature in the BriteLeafs heating wrap. Utilizing infrared heating technology, this wearable pad attaches with Velcro straps, up to 70 inches. It's great for on-the-go, deep, therapeutic relief for tight and sore muscles, stiffness, cramps, and pain. You can wrap it around your waist, knee, leg, or arms, and there's no worrying about cords to fuss with. Whether you want a classic heating model for home use, moist heat, or something more technologically advanced and portable, there are many great options to choose from. The wearables are an excellent option for home, travel, and the office. And if you want one of the simplest and fastest options out there, go for a microwave activated pad. True versatility and quick pain relief delivered in minutes.